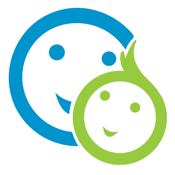 350+ baby development-boosting activities for infants 0-12 months. Designed by experts, used by parents around the world. 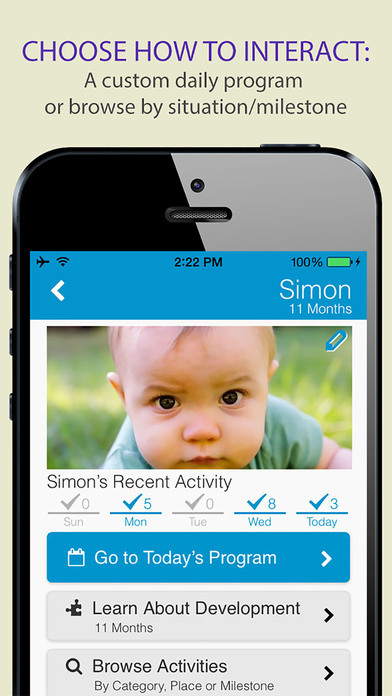 BabySparks gives you the activities, milestone information and customized programs to support your baby. 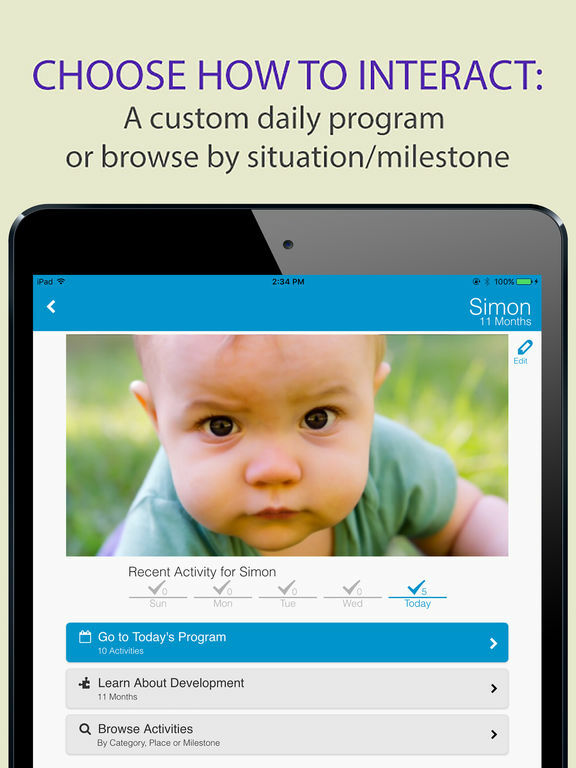 The first months and years of life are the most critical time for your child’s development. Consistently reinforcing a broad range of positive experiences makes strong connections in the brain and helps enhance your child's progress, which will have a lifetime impact. 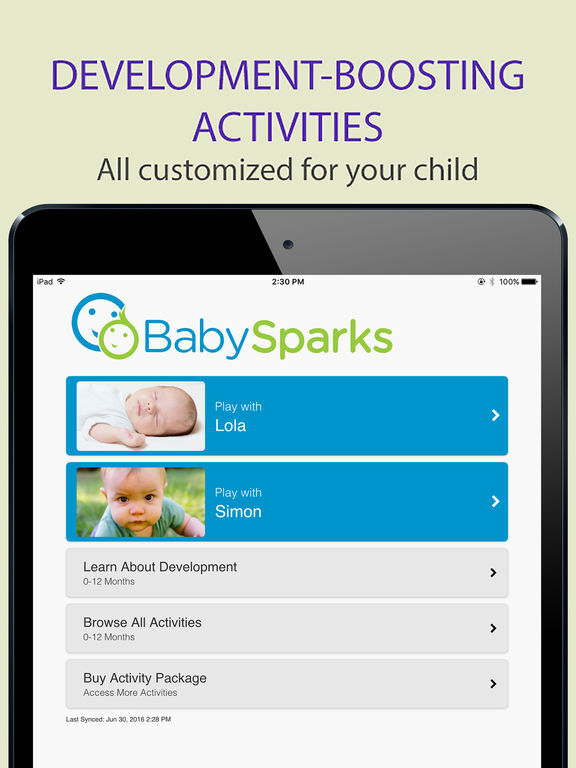 BabySparks activities have been designed by leading child development experts to help you do the right things at the right time in the right way. The best part? Each activity is just about playing with your baby, so you have the benefit of great quality time together too. All of our activities and development information are organized by critical areas of development: Gross Motor, Fine Motor, Cognitive, Speech, Sensory, Self Care and Social-Emotional. 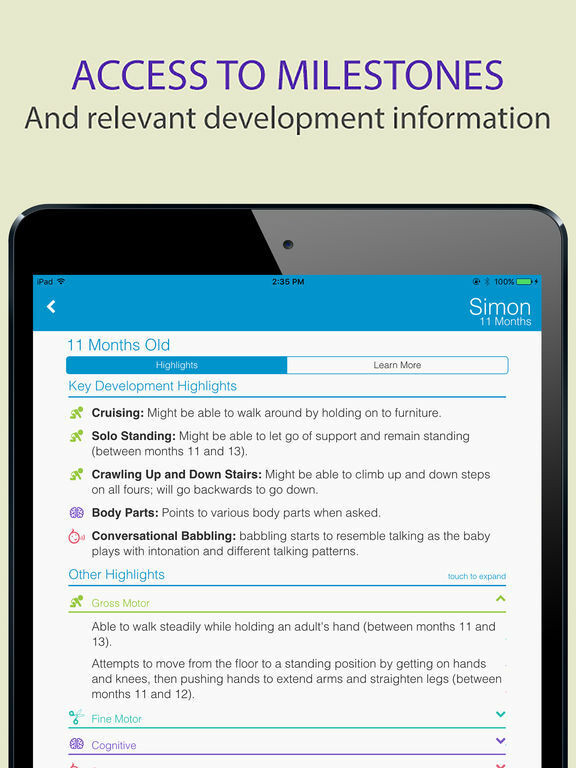 BabySparks - Boost Your Baby's Development is an app for the iPhone and iPad which comes packed with development-boosting activities designed for your baby under 12 months of age.